Little is it known that the Moors of the Eastern districts such as Ampara possess a unique form of social organisation known as the kudi system. The system known to the folk here as the kudivali or ‘clan lineage’ extends from Kattankudi in the north to Pottuvil in the south and comprises about 18 clans which trace their descent in the maternal line. Thus every individual here, whether male or female belongs not to the clan of his or her father, but rather to the clan of his or her mother. Though the child would take his or her father’s name, he or she still belongs to the kudi of his or her mother. These kudis or matri-clans as they may well be termed are also exogamous, which is to say that one cannot marry into one’s own kudi, but must marry outside it. Another salient feature of the system is the role played by the Maraikars or headmen of the kudi.The Maraikars of former times were virtual patriarchs of their respective clans and exercised considerable power in the olden days. Though said to be chosen at meetings by consensus of opinion among the members of the kudi, they usually held office until death and were often succeeded by their sister’s sons who may also be their sons-in-law. Not only did they play an important role in the social life of the community on solemn occasions such as weddings and circumcisions, but also sat in judgement with regard to family or monetary disputes, and even decreed corporal punishment in the form of had or strokes of a coconut stem for any man or woman who dared indulge in pre-marital or extra-marital misdemeanours. It is said that in extreme cases, the Maraikars would impose a boycott on the offender. An announcer would be commissioned to go round the village and proclaim that the Maraikars have decreed that the offender be boycotted and that he not be given water,salt or fire by his neighbours. In such a tightly-knit society, the offender had little choice but to leave the village, perhaps for good. Today, however, the power of the Kudi Maraikars has declined significantly. Their sanction is no longer required for important social occasions, but they are also gradually losing their hold in the religious life of the community. The administration of mosques which was formerly in their hands has been taken over by state-appointed officials and it is possible that with time the younger generation would move further away from the hold of the Maraikars. M. Mahroof in his contribution on ‘Muslim social organisation’ to the Ethnological Survey of the Muslims of Sri Lanka (1986) suggests three possible reasons as to how the kudi system could have evolved. “The Eastern Province”, he says”was formerly an area that was sparsely populated and the people who first settled here did so in family groups for protection, for the necessary labour and for the provision of the basic services. The grouping may have been carried over to other aspects of life”. He also suggests that the system may have arisen as a result of isolation from other centres of Muslim population. “Finally”,he says”it must not be forgotten that Arab society was organised in terms of tribes”. Among the reasons cited for the emergence of the kudi system, Mahroof’s contention that the system may have had its origins in the Arab tribal system is not altogether untenable, though not without fault. Although it is true that the Arabs of yore were organised into clans (qaum) based on common ancestors such as Hashim (eg.Banu Hashim or Children of Hashim), there is no evidence to show that the Arab progenitors of the Moors here ever brought their clan system along with them. It is more likely as suggested by M.Z.Mohideen in his contribution on the Kudi Maraikayars to the Souvenir of the Moors Islamic Cultural Home (1965) that the kudi is probably Mukkuvar in origin. “The Mukkuvar Tamils of Batticoloa South”,he notes”also have the kudi form of social organisation. In an adjacent Mukkuvar village, for example, there can be a Mukkuvar kudi bearing the same name as the Muslim kudi. Folk tales, as recited by village elders, tend to indicate a Mukkuvar origin for the Muslim kudis“. Unfortunately for us, Mohideen does not elaborate on his theory, though much could be said in favour of it. A recent visit to Nindavur in the Amparai district revealed a tradition prevalent here that the Arabs or Moors who settled down here married Mukkuvar women and got the kudi system from them, the offspring taking after their mother’s kudi. This may also explain why some Moors in the area still bear typically Dravidian physical features though a good many are of undoubtedly Arab ancestry as borne out by such features as the aquiline nose, a characteristic of the Semitic race. 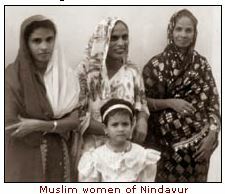 The kudi system in Nindavur is still a strong social factor, though not as much as in former times. The town still has its Maraikar Sabha consisting of the headmen of all the kudis of the town. All eleven kudis here have two Maraikars each, one for the north and one for the south. The awareness of the kudi is however not as pronounced among the youth as it is among the older folk, though many are still said to consider the kudi of a prospective mate when contracting a marriage, mainly due to deference to parental wishes. This however is not the case with all the Moors here and there have been occasions where marriages have been contracted within one’s own kudi, a union which would have probably been considered incestuous in the olden days. The prejudice against inter-clan marriage is however not as strong today as it was in the past. It was indeed surprising to learn that Sultan Lebbe Omar, a retired Assistant Government Agent and a prominent personality in Nindavur who was of much assistance to us in the course of our inquiries had himself contracted such a marriage. 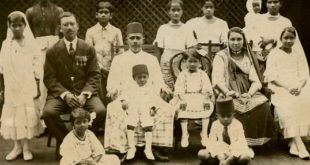 Omar, the son of a Maraikar of the Mutta Nacci Kudi, but a member of the Uttupullai Kudi on his mother’s side is in fact married to a woman from Kalmunai belonging to the same clan as his. He said that they were not aware of it at the time the marriage was contracted. Omar also provided us with a possible explanation as to why the kudi system is still justified in this deeply religious Muslim community. The Muslims here, he told us, had a belief that a person takes after his mother’s habits, hence giving some justification for the existence of the custom. We found in the course of our inquiries that there existed as many as eleven kudis in Nindavur alone, namely, the Kosukotta, Uttupullai, Mutta Nacci, Rasampullai, Asanpullai, Maraikar Nainda, Panca Nainda, Allipu, Kali, Odavi and Sayakaran. In the other Moorish villages of the East, one could find besides these, kudis such as the Ellavakudi (In Akkaraipattu, Kattankudi, Saindamarudu and Pottuvil), Mandara Kudi (Akkaraipattu and Sammanthurai), Senai Kudi (Sammanthurai and Natpiddimunai), Mamana Pullai Kudi (Sammanthurai and other towns), Vella Arasan Kudi (Sammanthurai etc) and Anivettilai Kudi (Sammanthurai). An elderly native of the town, Mohamad Tambi Segu Ismail Maraikar, a Maraikar of the Pancanainda Kudi and the Secretary of the Maraikar Sabha of Nindavur recollected for us the traditions prevalent here concerning the origins of the various kudi names. The Kosukotta Kudi, he recalled, were so called as they had migrated from Kosgoda in the South. The Uttupullai got their name from a game played in the olden days known as utti or ‘push’ which involved pushing a stick with another placed crosswise, so that if the opponent caught it, the player got out. The leader of the group was nicknamed Uttipullai due to his fondness for the game and when he was selected as Maraikar, the clan took his name and was henceforth known as Uttupullai Kudi. The Mutta Nacci Kudi is said to have got its name from a Maraikar who happened to be descended from a Tamil woman named Mutta Nacci. The Rasampullai kudi is said to have descended from a settler hailing from Kurunegala who claimed to be a Rasampullai or Prince. The Asanpullai Kudi is said to have descended from a Maraikar named Asan, a corruption of the Arabic name Hasan. The Maraikar Nainda Kudi was so called as the ancestor of the clan had arrived from India in a marakkalam or sea-vessel while the Panca Nainda Kudi took its name from a clan leader named Nainda who was the first person to jump (in Tamil panca means ‘jumped’) into the forest with his group in order to bring a tree trunk for a mosque the kudis had decided to erect in Nindavur. The Allipu kudi was so called as its ancestors settled close to a pond full of Alli-pu or Alli flowers while the Kali kudi got its name from Kali or Galle whence an ancestor of theirs hailed. The Vella-Arasan Kudi, it is conjectured, descended from a royal stock as the name literally means ‘White King’. The other kudi names are occupational. For instance, the Ellava Kudi is said to have descended from a clan-leader who was a Lebbe or Islamic teacher. A few members of the clan are also said to have been engaged as Islamic teachers. The Sayakaran Kudi is said to have been named after a clan-leader who was engaged in dyeing. The clan too is said to have been employed as dyers of cloth. The Odavi Kudi is believed to have been so called as the majority were employed as Odavis or carpenters. The Maraikars of yore as we noted earlier exercised considerable authority in the life of the community. They looked into the welfare of the community and jealously protected its culture. They were also present at every occasion of importance and were consulted by the people on all important matters. For instance, we found out that in the olden days, the parties keen on contracting a marriage would have to inform their respective Maraikars of it and when this was agreed to, the Maraikars would act as the witnesses to the marriage. While Islamic law requires two witnesses to testify to and validate a marriage though not specifying by whom this role should be played, this requirement was fulfilled by the Maraikars themselves, each Maraikar serving as the witness for the party coming under his jurisdiction. This rule is said to have been strictly followed in the olden days. It is said that even in the case of a circumcision, the Osta or barber would not circumcise the child in the absence of the Maraikar lest there be allegations that the operation had not been performed satisfactorily. Another important part played by the Maraikars was in the administration of the mosques, where they held important positions. Today, however, their place has been largely taken over by officials appointed by the Waqf Board and this has led to some dispute including litigation as was the case in Nindavur recently. The Waqf Board which had taken over the task of appointing the trustees of the Nindavur Jumma Mosque had evidently not consulted the Maraikar Sabha of late, leading to considerable dissatisfaction on the part of the Maraikars who filed a case praying that the selection of trustees be placed before the Jamaat or congregation which would in other words translate into the appointment of trustees by the Maraikar Sabha. A court order issued recently agreed that the matter be placed before the Jamaat and action is now being taken accordingly. The Maraikars it would appear are not willing to give up the little power they enjoy today without a fight. How long they would be able to retain their hold on the community yet remains to be seen. Previous Muslims will dominate, but will Islam prevail?